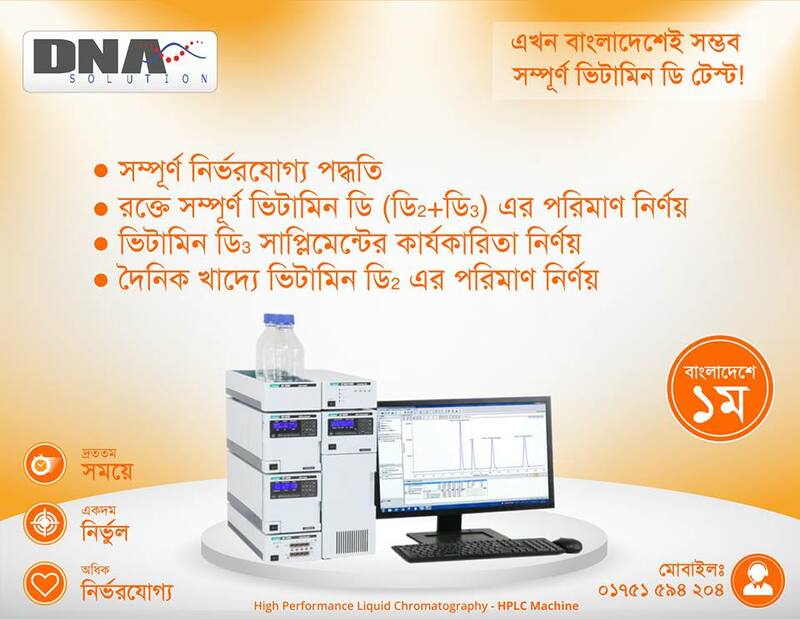 2019-01-23 00:32:48 By DNA Solution Ltd.
DNA Solution Ltd. is the 1st Molecular Diagnostic Lab in Bangladesh. Our aim is to provide all kinds of DNA and RNA based molecular services . All the diagnostic equipments and kits used in DNA Solution Ltd meets CE/IVD (In vitro Diagnostic) compliance and FDA approved.